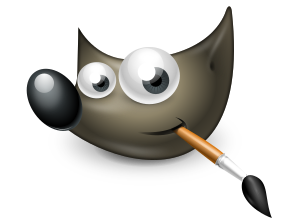 This week at Advancers, we took some time out from programming to review image editing, and play around using the highest quality free image editor in the world, the GNU Image Manipulation Program, also known as “The Gimp“. Mastering Gimp, or a tool like it, is essential to be able to produce the images you will need for high quality games. It’s also very useful for touching up photographs, chopping people’s heads off and sticking them on others, etc! The Gimp toolbox, how to change colors and use the brushes to paint. On windows or Mac, GIMP can be installed by browsing to https://www.gimp.org/ and selecting “Download”. On linux it can be installed from the app store/package manager on your distribution. Note: some people last week had Chromebooks and I mistakenly told them that gimp wasn’t available on those devices – I since checked and it is available, though as it’s a web-app it is not as good as a locally installed version – check out this video for instructions on installation: https://www.youtube.com/watch?v=NtdcukXILJg . It is also not quite free too since you need to pay to save your files. Click read more for more details! The first thing to do when you start gimp for the fist time is to choose “Windows.. Single Window Mode”. 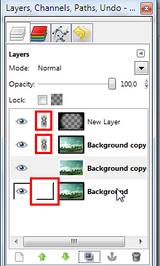 This mode is new to Gimp 2.8 and it makes the tool much less confusing to use. The “file” menu is used to created, save and print images. We create a new file using “File.. new” and picking the size of the image. We save the file by clicking “File.. Save”. We can export the file to formats that suit scratch and other things using “File.. Export”. The Toolbox has all the main tools you need to do image editing. We started by playing with the paintbrush, the bucket fill, the pencil, the eraser, the Text tool and the color picker. Each tool you picked showed a list of options beneath it which let you change the way it behaved. The pencil was great for sharp-edged lines. We saw that you could make the lines straight by holding the Shift key. The paintbrush had many swishy effects. The bucket fill can be used to fill in ant bounded area. The Text tool could write text of all shapes and sizes. We also learned that Control + Z is really important – not just in Gimp but all computers – it is short of “Undo” and if you make a mistake it will undo it! Though these tools were neat and very configurable with the tool options at this point gimp looks like any other paint program. Add a new layer, renaming it to something that reflects what you are drawing – Background, Cat, Spaceship, etc. We learned that once you have selected a layer, anything you select, draw, erase or do will only happen on the current layer. So you can copy one part of the image and paste it to another part or to a different image entirely. Another reason you might want to make selections is to draw shapes like circles and rectangles – for some reason, you need to do this with selections in gimp – weird, but you get used to it! The main selection tool we played around with is the most useful – the intelligent scissors – this is the one you need to cut people’s heads off.. what more could you need?